Level 2.5ml (4g) scoops per day. 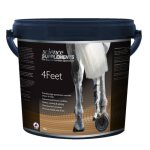 Science Supplements 4Feet is a specialist dietary supplement that provides a concentrated source of the micronutrients, Biotin and Calcium, required for good hoof horn quality and growth. We use a unique, highly bioavailable form of Biotin, meaning more of the nutrients are absorbed leading to greater results. Poor hoof condition is common in all types of horses and ponies and can lead to practical problems such as splitting of the hoof and losing shoes. When hoof condition is compromised, this can also contribute to lameness, as the hoof becomes less effective at shock absorption and foot balance may be detrimentally altered. 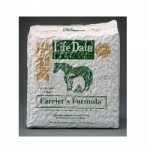 Whilst many different minerals, vitamins and other ingredients (e.g. 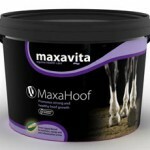 yeasts) are included in hoof supplements there is only significant supporting evidence for the use of D-Biotin. A recent paper from Sweden reported that the heritability of hoof “health” was low (only 0.1; Jonsson et al. (2013). The implication is that management (diet, hoofcare, farriery, etc) plays a much larger role in hoof health than genetic factors. 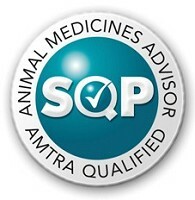 Thus, it is possible for owners to help control hoof health through good practice and nutritional support. In a survey of geriatric horses (over 15 years of age) Ireland et al. 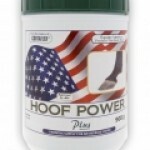 (2012) reported that 80% had hoof abnormalities. A number of studies have demonstrated benefits from long term feeding of D-Biotin. Long-term treatment with biotin at a dose of 0.031-0.037 mg/kg body weight (equivalent to 15.5 mg to 18.5 mg) up to 10 months resulted in an improvement of the horn quality of the growing hoof (Wintzer 1986). Biotin deficiency has been implicated in horses with poor hoof quality (Josseck et al. 1995; Zenker et al. 1995). Daily supplementation with 20mg D-Biotin improved hoof wall integrity after 9 months (Josseck et al. 1995) and hoof structure and hoof wall strength after 33-38 months of supplementation (Zenker et al. 1995). Less scientifically rigorous studies have suggested 10-30 mg D-Biotin per day for 6-9 months can improve hoof hardness and hoof integrity in horses with poor quality feet at the outset (Kempson, 1987). 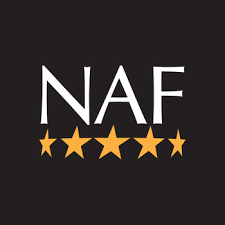 Increased hoof growth rate and hardness has been reported in Thoroughbred and Thoroughbred cross horses fed 15 mg D-Biotin per day for 10 months (Buffa et al. 1992) whilst a 15% increase in hoof growth rate was seen in ponies supplemented with 0.12 mg D-Biotin/kg bodyweight/day (equivalent to 60mg/day for a 500kg horse) for 5 months (Reilly et al. 1998). 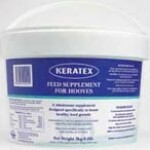 Science Supplements4Feet should be given in feed as a daily supplement to aid hoof horn growth and condition. 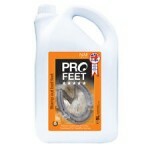 It is ideal for horses with poor hoof horn condition or those prone to losing shoes, cracking, splitting or problems associated with poor feet. 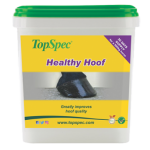 Because hoof growth is relatively slow results may take up to 6-9 months to be visible.